Manuka honey has caught the attention of consumers everywhere. Known as a miraculous skin care ingredient with amazing healing powers, Manuka honey is making its way into skin care products of all kinds. See how savvy brands are taking advantage of the popularity of Manuka honey skin care products and how to incorporate these innovative formulations into your own line up. Let’s see what all the buzz is about. Manuka honey is produced by bees that pollinate the flowers of the Manuka tree. 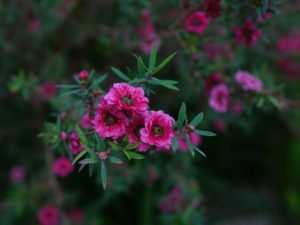 This rare tree, scientifically known as Leptospermum scoparium, only grows in extremely remote and rugged terrain throughout New Zealand and some parts of Australia. But, not all Manuka Honey is the same. This exclusive honey has a grading system to verify its uniqueness, known as the Unique Manuka Factor (UMF) rating system. The potency may range from 7 to 16+, with the upper end referring to superior quality Manuka honey. 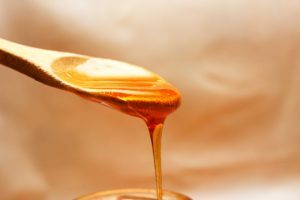 How is Manuka Honey Different from Regular Honey? Manuka honey is different from regular raw honey. Making it a favorite natural and holistic skin care remedy. The benefits that Manuka honey skin care products can provide go beyond intensive hydration for skin. Manuka honey aids in soothing sensitivity, fighting acne and slowing signs of aging. Additionally, Manuka honey has more medicinal benefits and is more effective against viral infections than raw honey, making it a sweet choice for skin care products. Manuka honey contains Methylglyoxal (MG), a unique enzyme that does not exist in any other honey. MG lends acidic and strong antibacterial properties to Manuka honey. Manuka honey also contains hydrogen peroxide, another very strong antibacterial agent, as well as up to four times the mineral content of regular honey. 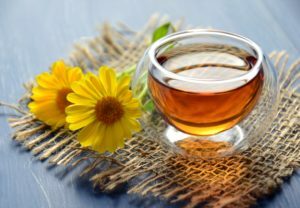 The increase in popularity of K-beauty and J-beauty, among clean skin care enthusiasts has highlighted the utilization of honey as a healing ingredient in many skin care products. From face masks that stimulate the natural production of collagen and elastin, to ointment that aids in regeneration, to repair dry skin, mineral-rich Manuka honey has become a trendy ingredient in skin care – and for good reason. At Kinetik, we don’t just supply the innovative ingredients you need to stay on top of trends, we also provide expert guidance to help you formulate a high quality skin care product that stands out from the rest. Whether it’s collagen skin care or Manuka honey masks, our experts can help you discover the perfect formulation of ingredients that will work best for your customers. Kinetik is headquartered in the USA, but we work with clients and represent suppliers worldwide. Contact us at (732) 335-5775 to speak with one of our sales representatives about ingredients to support your collagen cosmetics formulations today.